"We are equipped with a wide range of ophthalmic devices used in clinical routine, but also with newly developed devices only available for research use." The AC-Master (Carl Zeiss Meditec AG, Germany) is a specialised tool that uses laser interference biometry (LIB) for measurements of the anterior segment: corneal thickness (CT), anterior chamber depth (ACD) and lens thickness (LT). 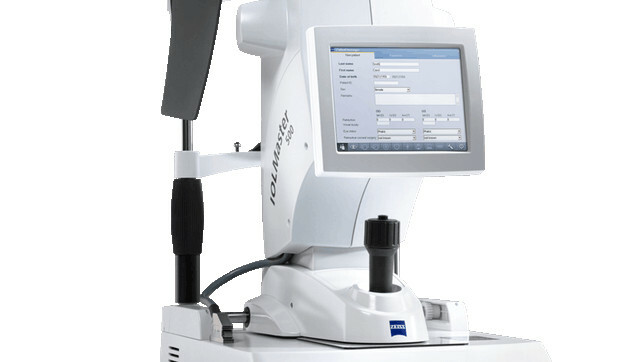 The IOLMaster 700 (Carl Zeiss Meditec AG, Germany) allows fast and accurate measurements of the axial eye length and corneal curvature using partial coherence interferometry. It is used for precise IOL power calculations. The Lenstar (Haag-Streit, USA) provides laser interferometric biometry of the entire eye, precise keratometry, astigmatism and axis measurement, WtW and pupillometry measurement. The IOL Master 500 (Carl Zeiss Meditec AG, Germany) is a non-contact optical device that automatically measures the distance from the corneal vertex to the retinal pigment epithelium by partial coherence interferometry. The Atlas 9000 (Carl Zeiss Meditec AG, Germany) is a corneal topography device using Placido disc technology including corneal wavefront analysis. The bon Sirius (bon Optic, Germany) combines a rotating Scheimpflug Camera and the Placido disk technique for accurate, precise, and repeatable measurement of the anterior chamber and the corneal surface. The Pentacam HR (Oculus, Germany) is a rotating Scheimpflug camera which captures Scheimpflug images of the anterior eye segment. The Retroillumination camera consists of a digital color camera (Canon EOS 5D Mark II) connected to a slitlamp through a fibreoptic cable (both Carl Zeiss Meditec AG, Germany) for acquisition of high-quality digital images for PCO assessment (Digital Coaxial Retroillumination Photography, DCRP). The slitlamp camera consists of a digital color camera (Canon EOS 5D) connected to a slitlamp (Haag-Streit D900). The Cellcheck XL (Konan Medical, USA) is a non-contact specular microscope for measurements of corneal endothelial cell density. The Heidelberg Retina Tomograph (HRT; Heidelberg Engineering, Germany) in combination with a Rostock Cornea Modul (RCM) offers high definition, confocal microscopy images of the different layers of the cornea. 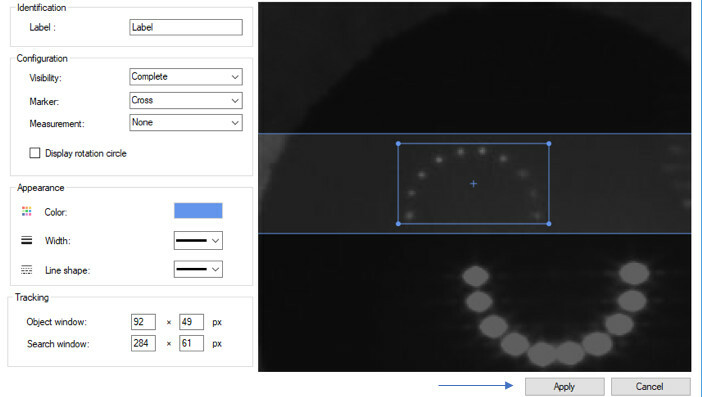 The Purkinjemeter (Murcia, Spain) measures IOL tilt and decentration by capturing and recording the Purkinje images of a semi-circular ring of LEDs. The Purkinjemeter (Cambridge, United Kingdom) uses a high speed camera working at 200 frames per second to allow measurement of lens and IOL wobbling in phakic and pseudophakic patients. The Laser flare meter FM-600 (Kowa, Japan) is a non-contact device for in vivo quantitative measurement of aqueous flare in the anterior chamber of the eye. The Cirrus HD-OCT (Carl Zeiss Meditec AG, Germany) is a non-contact imaging device that acquires and analyses cross-sectional and 3 dimensional tomograms of the eye using spectral domain optical coherence tomography (SD-OCT). 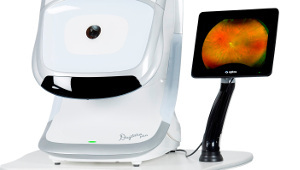 The DRI OCT Triton is a combined anterior and posterior Swept Source OCT (ssOCT), which incorporates full colour high resolution fundus photography and fluorescence angiography. The Rescan 700 (Carl Zeiss Meditec AG, Germany) is a real-time high definition optical coherence tomography (OCT) device integrated into a surgical microscope. The Spectralis OCT (Heidelberg Engineering, Germany) is a Spectral-domain optical coherence tomography device combined with scanning laser ophthalmoscope (SLO). It is a diagnostic device for high-resolution imaging of the retina, and with an extra module, also for the anterior segment. The bon Cobra (bon Optic, Germany) is a non-mydriatic digital fundus camera, that realizes digital fundus imaging of high resolution and fine gradation. The ETDRS (Early Treatment of Diabetic Retinopathy Study) chart (Precision Vision, USA) has equal number of letters in each line, similar and uniform legibility of each line and is considered the most accurate and a standard method of precise visual acuity recording. The International Reading Speed Texts (IReST, Precision Vision, USA) are standardized texts of equal length, difficulty, and linguistic complexity, with a set of 10 paragraphs of text for repeated measurements, meeting the everyday life reading demands. The Optec Vision Tester 6500P (Stereo Optical Inc., USA) offers visual screening under a variety of conditions including monocular, binocular, near and distance. It can also function as a test for contrast vision under mesopic or photopic conditions as well as with or without glare. The Pelli-Robson contrast sensitivity chart (Haag-Streit, USA) utilises letters of the same size but with reducing contrast for assessing patient’s contrast sensitivity thresholds. The Aston Halometer (Aston University, UK) comprises a bright light-emitting-diode (LED) source in the center of an iPad to allow quantification of glare. The Stereo Fly Stereotest (Stereo Optical Co. Inc., USA) is an effective and easy-to-use test for the assessment of depth perception (stereopsis). The Stereogram Test App (McGill University, Canada) is an application for iPad or a 3D-Laptop that enables quantification of stereo vision at different distances. The Worth Four Dot Test (GIMA s.p.a., Italy) is a test for the assessment of binocular vision and binocular single vision. The Eyelink Eyetracker (SR Research Ltd., Canada) is a precise and accurate video-based eye tracker using video oculography to record eye movements from both eyes simultaneously during reading. The Salzburg Reading Desk (SRD Vision, Austria) allows accurate measurement of the reading acuity and reading speed, taking into account the patient’s individual reading distance and other distinct parameters as reading time, luminance, contrast, and reading angle. The RAPDx (Konan Medical, USA) utilizes a high-definition, machine-vision system under controlled infrared conditions to present monocular visual stimuli while recording binocular pupil responses. The RM-8800 autorefractor (Topcon, Japan) provides an automated objective measurement of refractive error. The Wavefront Supported Custom Ablation (WASCA) aberrometer (Carl Zeiss Meditec AG, Germany) uses a Hartmann-Shack wavefront sensor to assess refractive values and the higher-order aberrations of the entire eye. The ArcScan Insight 100 (ArcScan Inc., USA) is a precision high frequency ultrasound device for imaging of the anterior segment and biometry of the eye. The Aviso S Ultrasound Platform (Quantel Medical, France) offers high resolution standardized digital ultrasound imaging. The Icare tonometer (Icare Finland Oy, Finland) is based on a rebound measuring principle that enables measurement of the intraocular pressure (IOP). The Neuromaster (Insight Instruments, Germany) can be used for Biofeedback measurement, including EMG, EKG, Breathing and Sweat Gland activity.